Your price: $19.00 51% OFF Retail! Start your Automated Forex Trading today and Conquer the Market with best Forex Robots EA. Fully automated robot software for auto trade. DOMINATE THE FOREX MARKET TODAY!!! EXCLUSIVE OFFER only on EBAY! 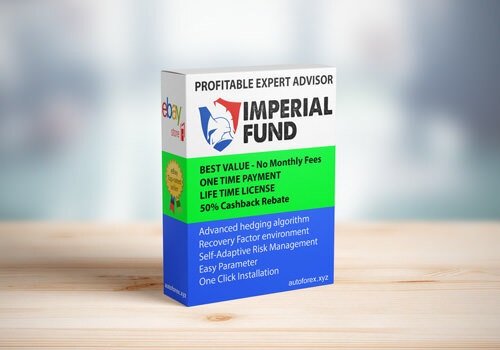 Imperial Fund is a fully automated EA that uses a revolutionary Robust Hedge algorithm together with a signature synergy of Recovery Factor environment and an Artificial Instinct Self-Adaptive Risk Management.Imperial Fund was strictly developed, tested and optimized using 99% Data Quality, It has passed 3 years. 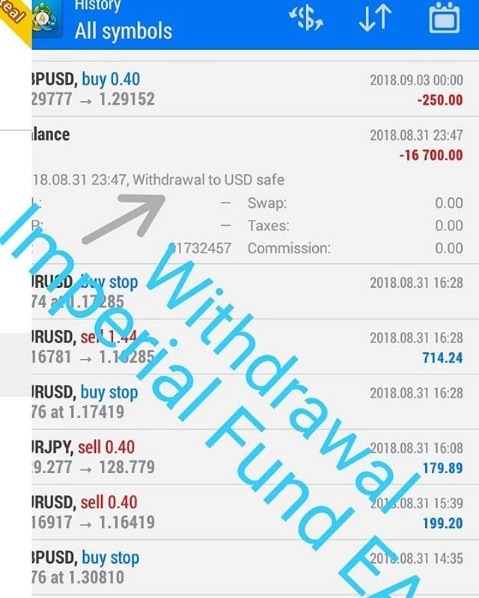 as currently use on Real Account, validated by myfxbook and mql5 website. Imperial Fund is a fully automated multi-hedge trading robot. combine with automatic money management system, and recovery factor feature to maximize profit gain. with advance risk and position management, you can set Imperial Fund free on your trading account. easy installation can be deployed and working for you in minutes. Advanced algorithm for hedging positions. Each trade contains a protective stop order, automatic take profit and stop loss. Risk management based on automatic lot based on your current Balance. There is no need to disconnect the expert at the time of news release. Work with All Brokers, ECN, STP, Micro, or Cent Account. Flexible configuration, Easy Setting even for no experience Trader. Easy Parameter, built in magic number. User Friendly installation, Built in .exe application. User not only got 1 EA file but 4 EA file for each recommended pair. Initial Lot : First lot size. Auto lot : Dynamic lot, depend on current balance. Low Risk : Good for starter or new trader. Medium Risk : Recommended setting. Recovery Factor : Unique Feature for maximum profit gain, based on exponential algorithm, automatically set lot factor for the second and subsequent orders. Consist of 3 Tier Level Factor : Safe, Moderate and Expert. Use Max lot : Boolean setting for max lot used per transaction. Max lot : user define max lot used, in case Use Max lot set : yes. 2. Run Imperialfund.exe to start installation. 1. Copy All .ex4 File. 2. Open MT4 Platform Click -> File then Select “Open Data Folder” on menu file MT4 platform. Select “MQL4 folder”. click “Experts” folder. copy and paste “.ex4” files. 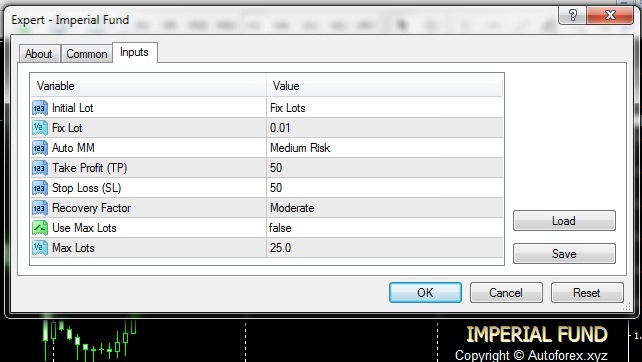 5. make sure menu “Auto Trading” in your MT4 platform “ON”. All done…!! !